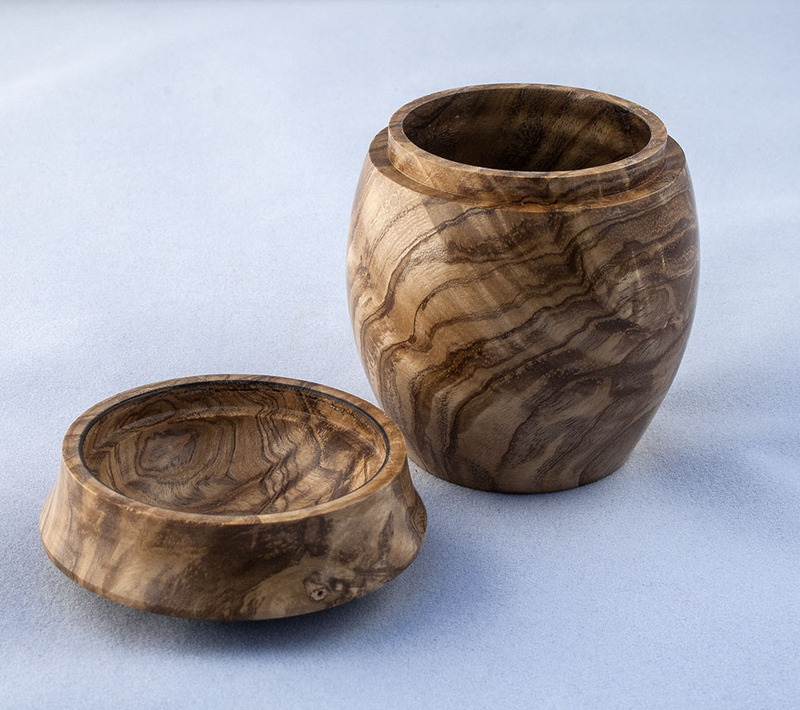 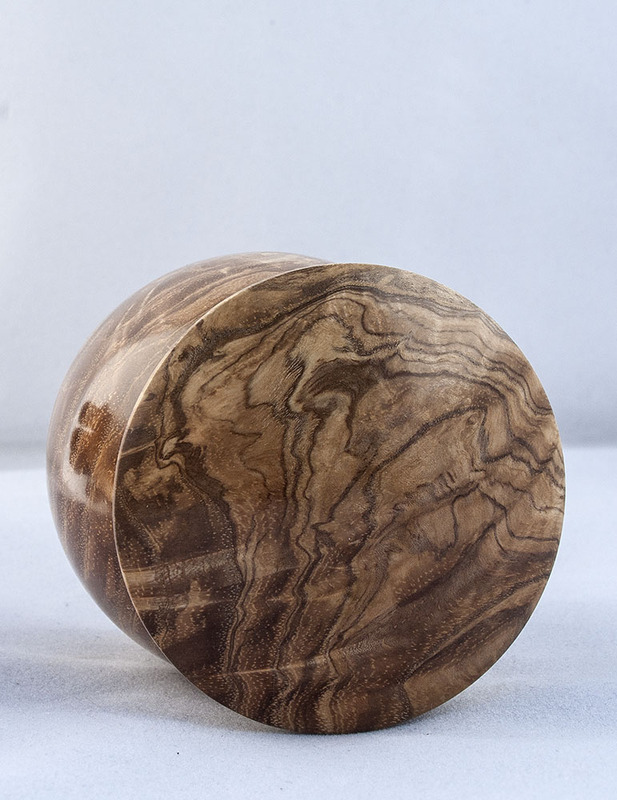 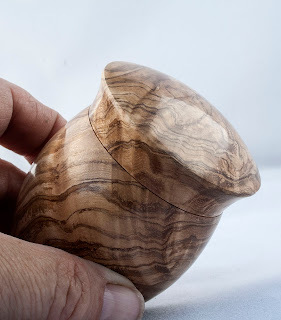 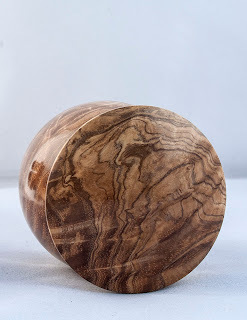 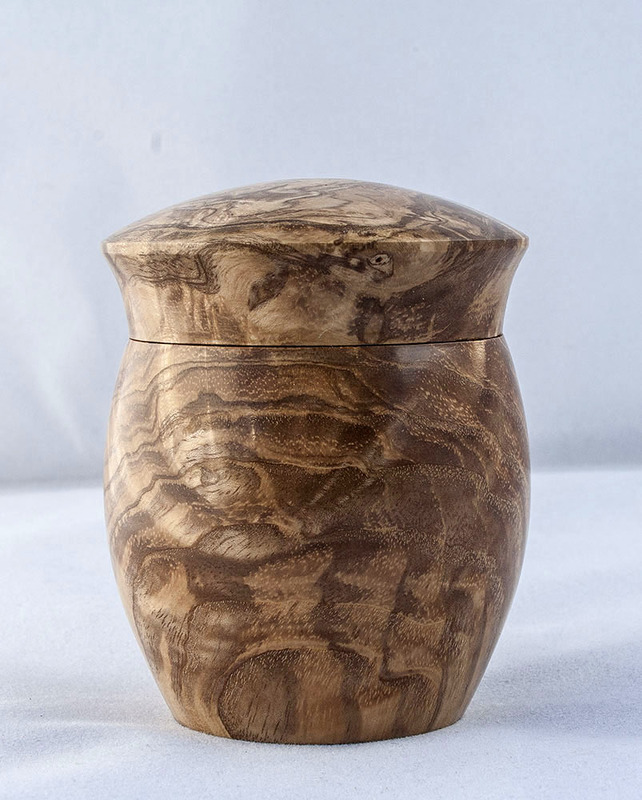 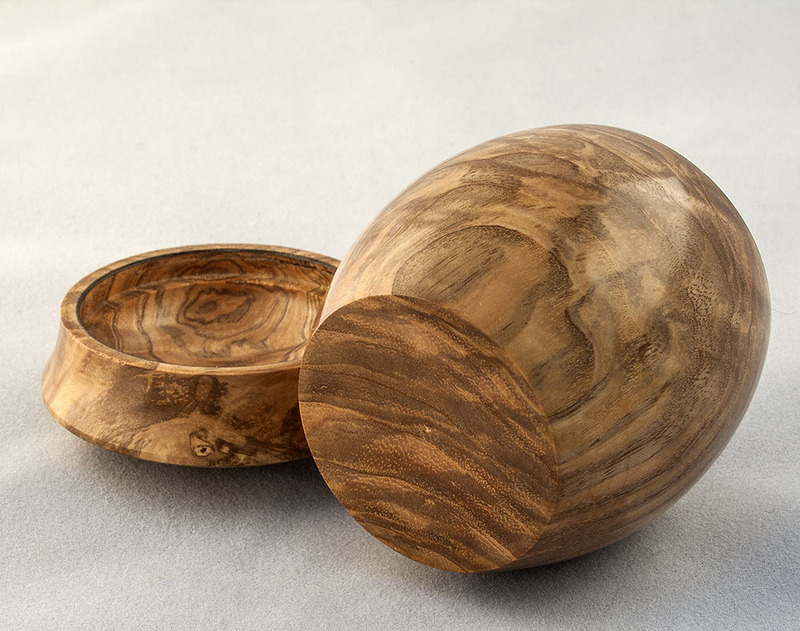 Out of the Trees - Artistic Woodturnings: The beauty of wood. 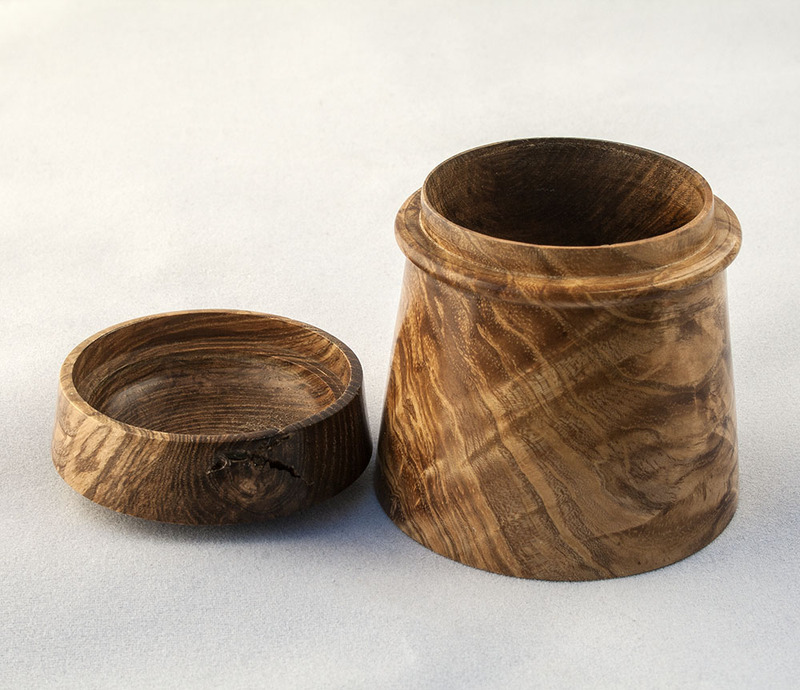 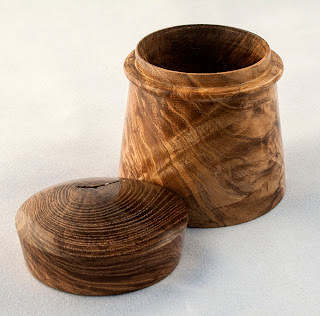 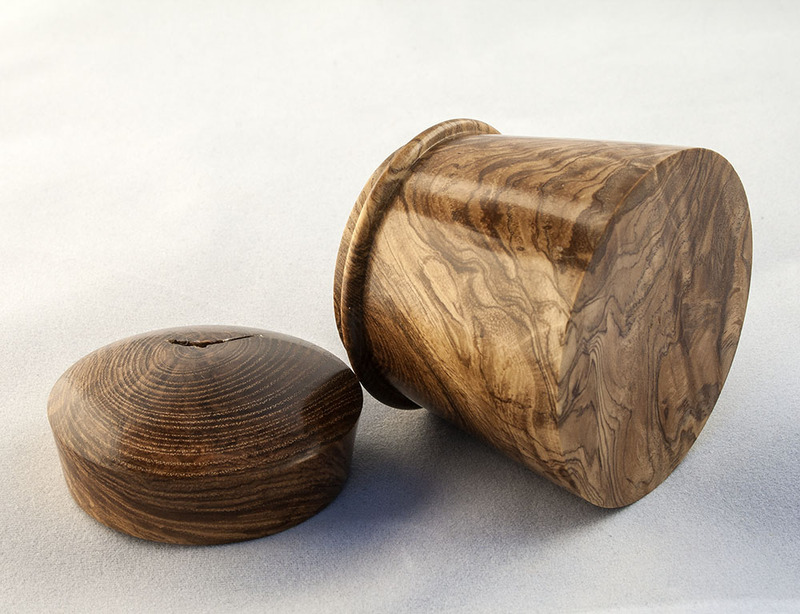 The beauty of wood is surely revealed in these two little Olive Ash boxes, I knew when I turned the cylinder from the wet timber that it would be special, and now it had dried sufficiently to be used. 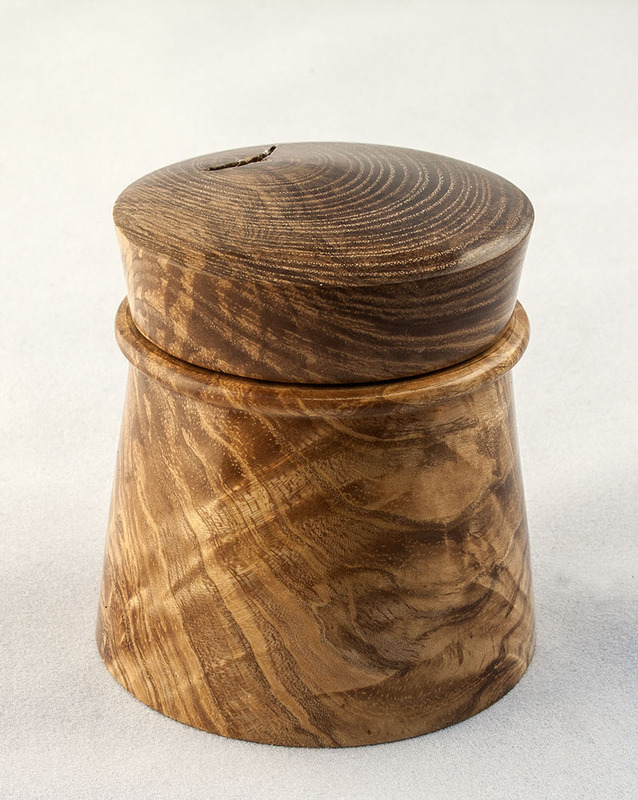 I wanted to make boxes in the style of George Watkins whose work with timber and acrylics I have long admired, and in this I feel happy with the result as they have a very nice balanced shape. 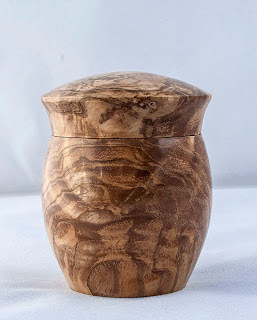 Click on the images to open up the slideshow with large pictures. Very nice indeed. 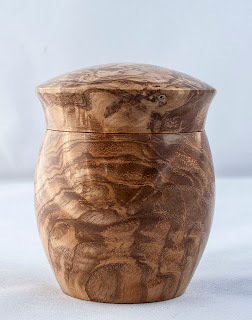 George is an inspiration with his work. I like them all. Yes indeed, I am a fan! 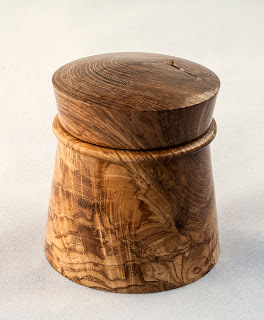 Thanks for leaving a comment Mark.